8 Greatest Universal Monster Movie Moments | Nerd Much? Earlier this month saw the release of The Mummy, the first in what Universal Studios hopes to be a shared universe of classic monster reboots, and about the only good thing it serves as is a reminder that the writers behind Kingdom of the Crystal Skull and the Transformers films shouldn’t be left in charge of a hot dog stand, much less a billion-dollar film franchise. Yes, despite their plans to forge ahead by courting several A-listers for their monsters, the producers of the Dark Universe didn’t bother to make a very good film out of the gate. Which is a damn shame considering the films they are paying homage to, the Universal Classic Monsters, are terrific. Universal’s monster films were among the first motion pictures with sound and play a pivot role in early American cinema. Beyond that, they’re just a lot of fun. The makeup effects created some of the monsters that are impressive even by today’s standards, and it’s a blast to watch early horror icons Boris Karloff, Bela Lugosi, Claude Rains and Lon Chaney inhabit the larger than life roles that made them stars. So while The Mummy has not set a very enticing stage for the supposed Dark Universe, we’re going back to revisit the greatest moments from each classic monster film to show why it’s so desirable to revisit this universe in the first place. Tod Browning’s Dracula is very much a movie caught between the transition from silent film to sound. There are long stretches of silence throughout the film and very pronounced close-ups on the actors faces. In a way, it makes the film almost eerier than it aught to be. 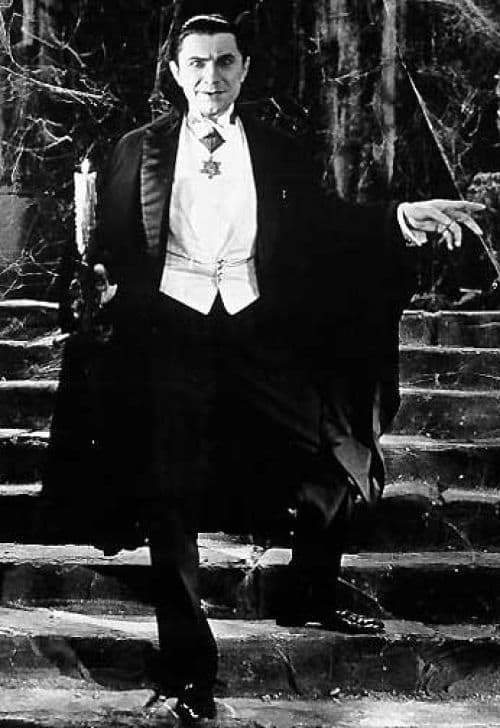 But when it comes to eerie, the introduction of Dracula himself is a classic. After an unusual carriage ride up the Borgo Pass, Renfield enters Castle Dracula just past sundown to discover a seemingly abandoned fortress. Then the title figure, candelabra in hand, slowly makes his way down the grand staircase and introduces himself. The real kicker of the atmospheric scene, besides the commentary on wolves as “children of the night”, is when Dracula ends up passing through a massive spider web without disturbing it. Thus, a legend was born. Frankenstein was one of the biggest successes for Universal at the time of release and it’s, cinematically, the point where the studio’s monster movies start hitting their stride. Flashing and whirring science props, special makeup effects, deeper shadows and more over-the-top performances — Frankenstein is truly a masterpiece of horror cinema. Yet even with Boris Karloff’s classic reveal as the Monster and a moment of tragedy by a lake, the scene that has been etched into the history books has got to be the scene of the Monster coming to life. Thunder booming and lightning crackling in the background, strange science equipment whirring and popping, a slab with the creature’s lifeless form on it descending from the laboratory tower. 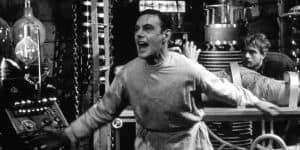 After a moment of uncertainty, Frankenstein’s creation slowly lifts its arm to its side while Colin Clive’s mad doctor goes into a frenzy and we’re given a timeless movie quote. Of all the original Universal monster movies, it’s perhaps The Mummy that has aged the worst (pun maybe intended). The sensationalizing of Eastern culture in films like this certainly looks bad by today’s standards but so does redoing many familiar beats from Dracula, a film that was only a year old at this point. Worse, it’s probably the dullest flick of the bunch, plagued by long talky stretches and an absence of chills. That’s not to say though that the movie doesn’t have it’s moments, particularly the opening scene of Imhotep rising from the dead, the flashback of his being wrapped alive, and the ending wherein the statue of the goddess Isis comes to life and burn the scroll giving Imhotep life, turning him back into dust. 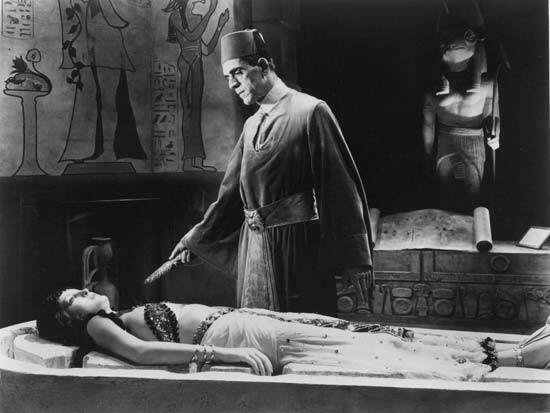 It may not be the strongest in Universal’s monster catalogue, but we still have The Mummy to thank for most of the hallmarks we now associate with mummy films. Besides, it could be worse. It could be the 2017 version. Like Frankenstein before it, The Invisible Man is another of director James Whale’s entries in the monster universe. 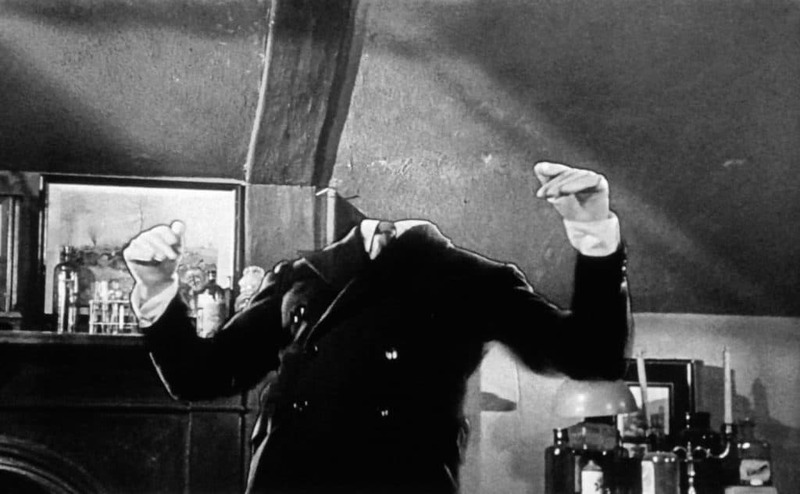 And just like that film, The Invisible Man is an absolute joy for horror movie fans. Featuring then-groundbreaking visual effects and a breakout performance for Claude Rains, The Invisible Man is perhaps the first Universal monster movie that is as funny as it is spooky. The antics of the Invisible Man, aka scientist Jack Griffin, range from impish to downright sinister and Rains’ vocal performance is perfect for both. And while I do hold a special place in my heart for the scene in which the Invisible Man chases an old village woman while wearing pants stolen from a policeman and singing a delightful tune, it’s still not the most amazing scene in the film. That would have the be the Invisible Man’s manic unveiling of his true self to some confrontational townspeople. Rains’ grandiose ranting while stripping away the bandages covering his face and a fake nose is a terrific reveal that shows us just what kind of lunatic we’re dealing with. It’s at this point we know his reign of terror is not an idle threat and we can’t wait to see more. Director James Whale originally didn’t want to return for another Frankenstein film, instead opting for The Invisible Man. Thank goodness he changed his mind because his followup, The Bride of Frankenstein, is just as much a classic as his previous two contributions to Universal’s monster catalogue — maybe even more so. All of this is great enough material to make a worthy Frankenstein followup. 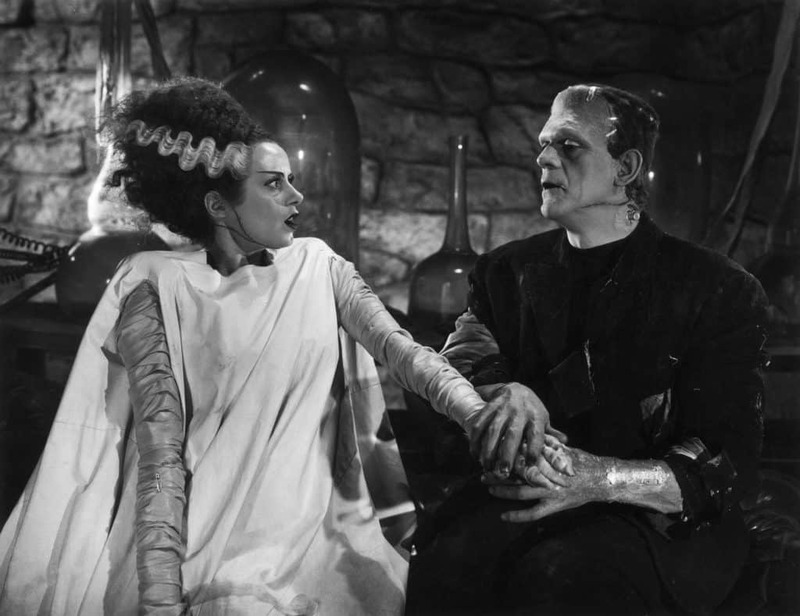 But it wouldn’t be the Bride of Frankenstein without the titular Bride herself, appearing in perhaps the briefest capacity of any of the classic monsters. The honeymoon period is cut short between the two creatures when even the Bride rejects the Monster with a series of shrieks and goose-like hisses. 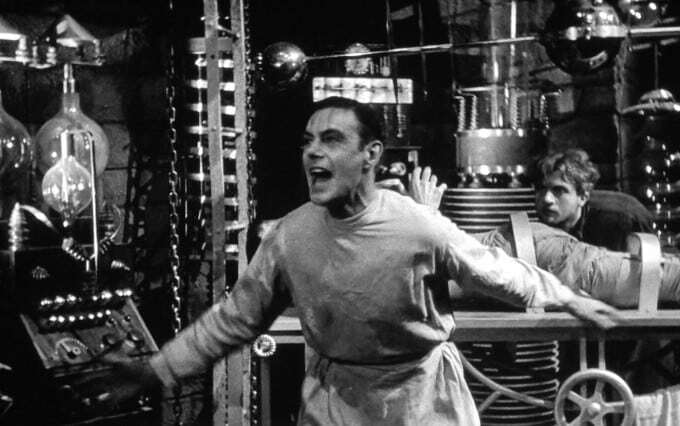 Distraught, Frankenstein’s Monster decides dead is better and lets Frankenstein and his love escape before bringing the entire castle laboratory down on himself, Pretorius and his ill-fated compatriot. It may be surprising for unaware audiences how little the Bride plays into the actual movie, but the scene is a stellar and bittersweet cap on a film that is arguably the crown jewel of monster movies. This one is a bit of a cheat, as the silent version of The Phantom of the Opera is not usually lumped into the classic monster cabal, so much as the 1943 Claude Rains version is. However, for all the good things that film has, it can’t compare to the place in history that the silent version Universal made with Lon Chaney occupies. 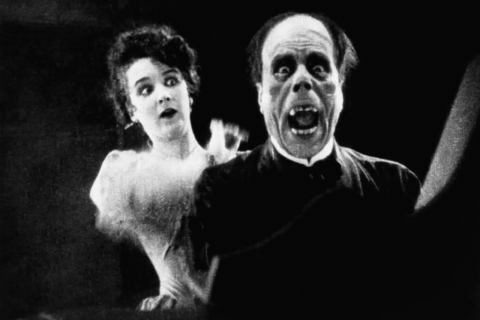 Sitting through the silent version of The Phantom of the Opera can be taxing by modern standards but it’s worth checking out for one defining thing: Lon Chaney’s ghastly makeup effects. Even for a film that is nearly 100 years old and a story that has been adapted dozens of times, Chaney’s appearance in the 1925 film is unmatched in its ghoulish effect. The reveal is a perfectly crafted bit of suspense that first showed that audiences could be terrified at the movies. Some of the best movie monsters shine because they are inherently tragic. 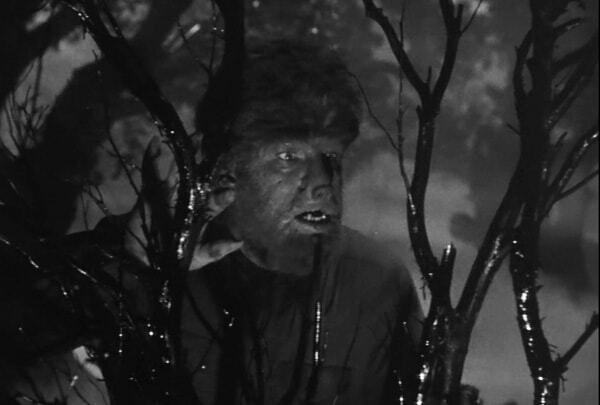 The Wolf Man is one such tormented soul and one of the more sympathetic movie monsters around. The Wolf Man wasn’t Universal’s first attempt at a werewolf film (that’s 1935’s Werewolf of London) but it has certainly made the most impact for the genre. Lon Chaney Jr.’s tragic Larry Talbot tries to do the right thing and help a woman being attacked, and ends up cursed to roam the foggy English countryside as a half-man, half-beast under the light of the autumn moon. Talbot’s first transformation is extraordinary, showcasing both time-lapse trickery and monumental make-up work by Jack Pierce, which he originally wanted to use on Werewolf of London. Added to the effect is that we originally only see the Wolf Man’s feet leaving his home and prowling around the forest, until finally panning up to reveal the beast in his full glory. 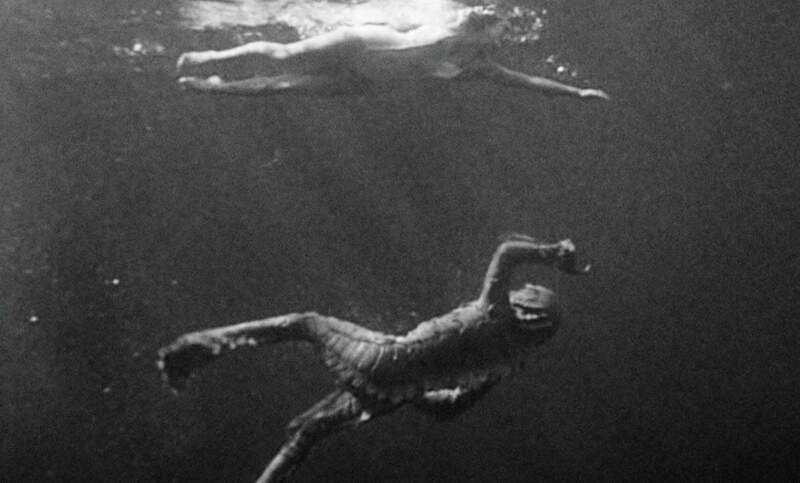 Creature from the Black Lagoon was released long after the heyday of Universal Monsters, in a time where sci-fi and aliens paralleled current political scares. Still, Creature showed that Universal had one more old-fashioned creation to put forward. In the midst of plenty of monster mayhem and nasty brass instrument stings, Creature from the Black Lagoon has one of the most intriguing and innocent cat and mouse moments of the Universal Monster catalog. As our heroine takes a leisurely dip in the Amazon river, a secret admirer watches from afar. Then, not so far. Then, testing the waters (so to speak), the Gill Man starts brushing against her leg. It’s a beautifully done little sequence because, while the musical score is reminding us there is danger, you still get the impression that this creature is more curious than cutthroat, and is there to observe this new visitor.